The iRobot Roomba 690 is $248 on Amazon, its lowest price ever. The less busywork you have in your life, the better your life is, and robotic Roombas can cross vacuuming off your list for you. Today, you can grab one of your own at its lowest price ever. The iRobot Roomba 690 is $248 today on Amazon, a steep discount from its list price of $375. 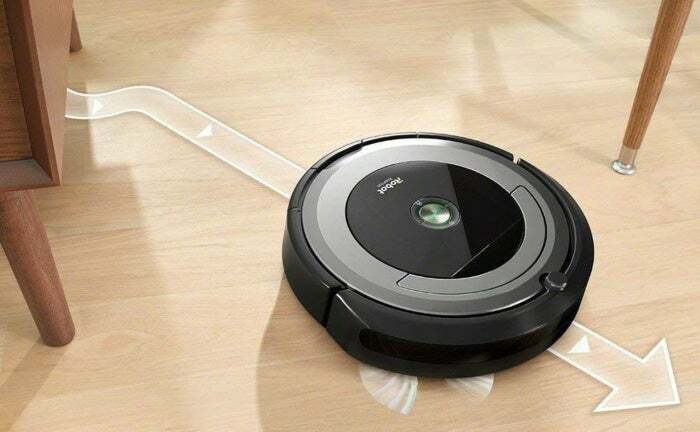 This awesome robot vacuum combines the cleaning power of Roomba with modern smarts. Once connected to Wi-Fi, the Roomba 690 becomes compatible with Amazon’s Alexa for voice control. You can also use the iRobot Home app to set schedules, start cleaning, and view reports, as well as set a virtual barrier to control where your Roomba goes. Beyond the smart capabilities, this robot vacuum is pretty great at keeping your floors clean, with brushes designed to work on all kinds of surfaces, a three-stage cleaning system, and Roomba's Dirt Detect sensors to pick up on extra-dirty areas. We haven't tried this exact robot vacuum ourselves, but we've loved other Roomba models in the past and have ranked a few among the best robot vacuum cleaners of 2019. This one in particular is a popular pick on Amazon, with 4.1 stars out of 5 across more than 2,800 user reviews.